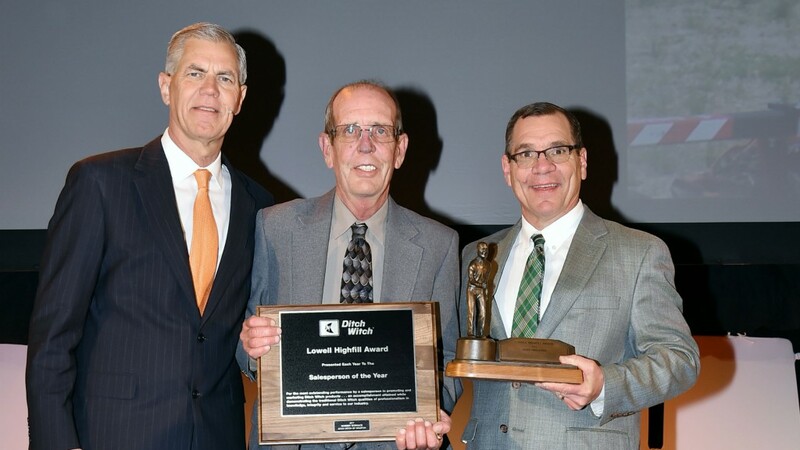 Ditch Witch honours Robbin Womack (centre) with the 2017 Lowell Highfill Award. "Robbin is synonymous with Ditch Witch of Houston," said Darren Craig, Ditch Witch of Houston vice president. "It is hard to think of one without the other. He is to Ditch Witch customers what a Swiss Army knife is to a camper. He is resourceful. He gets the job done. And, just when you think you know every way in which he can be a resource, he demonstrates yet another one."